Newer home built in 2004 in desirable North Medford locale! 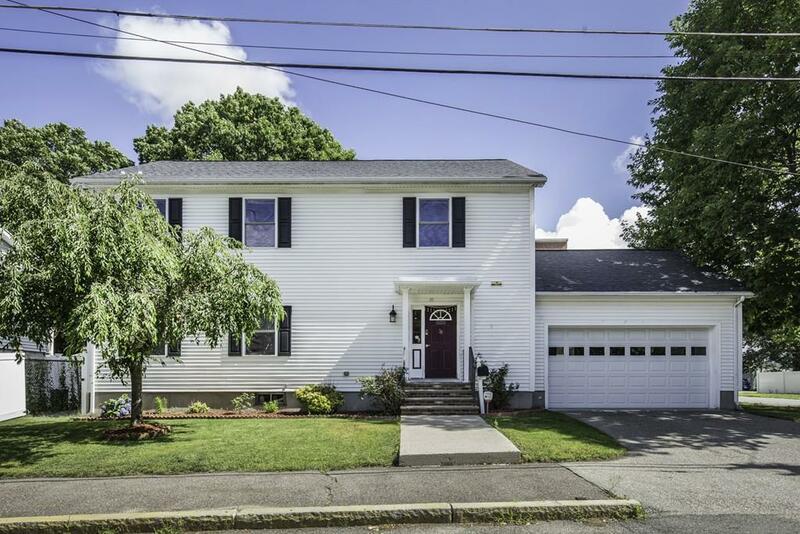 At at impressive 2,800 Sqft this charming colonial has all the space you'll need to be your forever home. First floor features hardwood floors throughout, living room w/ gas fireplace, family room w/ sliders to the back deck, formal dining room, and bright updated kitchen w/ granite counter top, black splash and stainless steel appliances. Laundry room conveniently located on 2nd floor where you'll find 4 large bedrooms including master bedroom w/ master bath. Finished basement offers a great media room, full bath + a bonus room for an office or workshop. The spacious backyard is privately fenced in w/ composite deck, planting beds + sprinklers and can be accessed from family room, garage, or basement. 2-car attached garage walks into a mudroom, perfect for those snowy days. Extra features include central AC, security system, Nest thermostats, Yale smart lock, & new hot water tank - there's nothing left to do but move in! Exclusions Exclude Fridge Washer/Dryer & Projector in Basement.